Can You Get an OWI on Your Bike in Wisconsin? What Rights Do You Have When Charged With a Crime? Can I Get an Occupational License? How Much Does an OWI Lawyer Cost in Wisconsin? Should I Plead Guilty to OWI or Consult with a Lawyer? What if You Refuse to Provide a Breath or Blood Sample? Will I Have to Go to Jail for DUI in Wisconsin? Do Police Cars Have Video Cameras? Do the Police Need a Warrant? Do I Need a Person Injury Lawyer? Do I have a Case if I was Injured but the Police Said I was at Fault? Who Pays for Medical Bills When There is a Car Accident? The Wisconsin law regarding riding two abreast states that it is legal to ride two abreast as long as the rider is not impeding the normal and reasonable movement of traffic. In a legal statute, each word carries important meaning. For example "normal and reasonable" can be a potential defense. If a car is only behind two bicyclists for a very short time at a very busy intersection and would not have been able to go any faster, then the bikers are not impeding normal and reasonable movement. Another consideration is whether the vehicles on the road including the bicycles had sufficient time to get up to speed. Another defense is that a driver may not pass a bicyclist unless the driver has a minimum of three feet clearance. Therefore, if there are two bicyclists next to each other and the driver couldn't pass the biker on the right with at least three feet clearance, the driver cannot pass either of the bikers until it is safe, so the bikers are not impedeing traffic. Finally, this statute by its plain language does not apply unless the bikers are riding two abreast. While not defined in the statute, the dictionary definition of abreast is: "Beside one another with bodies in line." Therefore, if a bicyclist is behind another bicyclist but slightly off to the side, they are not riding two abreast and this statute should not apply. Note however, that bicyclists generally must ride as far to the right as is safe and practicable under the circumstances existing in that particular place of the road. While this statute allows riding two abreast under certain circumstances, all bicyslists should always ride in a safe manner, and should always be courteous to all drivers on the road whether or not the bikers have a "right" to ride a certain way. 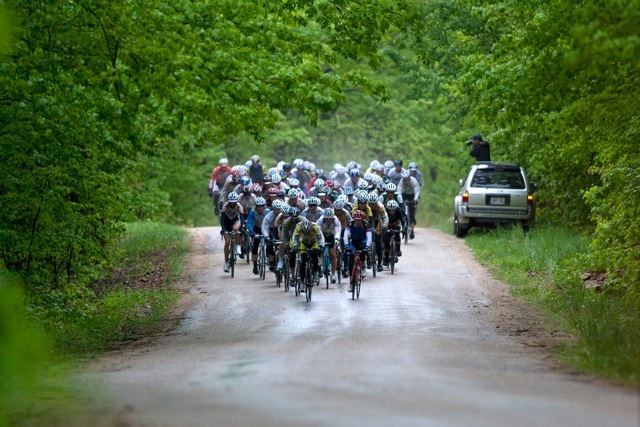 Even if it is legal to ride two abreast under certain cirucumstances, it is always a kind gesture to tighten up into single file whenever safe to do so. Bicycle Injury Lawyer Clayton Griessmeyer represented a Madison bicyclist pro-bono when charged with riding two abreast. The case was won at trial. the facts of that particular case and the results will differ from case to case. No Attorney-Client Relationship. No information on this website will establish an attorney-client relationship, and no reply by electronic mail that is sent to any one at The Law Office of Clayton Griessmeyer shall establish an attorney-client relationship.